Westeros is becoming a small world in the final season of Game of Thrones as the characters reunite under one roof. 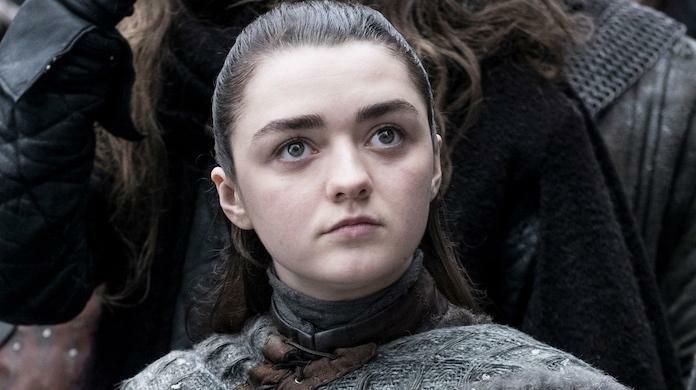 Game of Thrones Season 8 kicked off with a whole lot of long-awaited reunions on Sunday. As Jon and Daenerys led their forces to Winterfell, they ran into familiar faces and brought together long lost friends and enemies. This makes sense, as the sprawling, disparate wars of past seasons are now condensing into one great existential battle on the show. That does not take away from the catharsis of seeing characters reunited after years apart and countless trials survived. 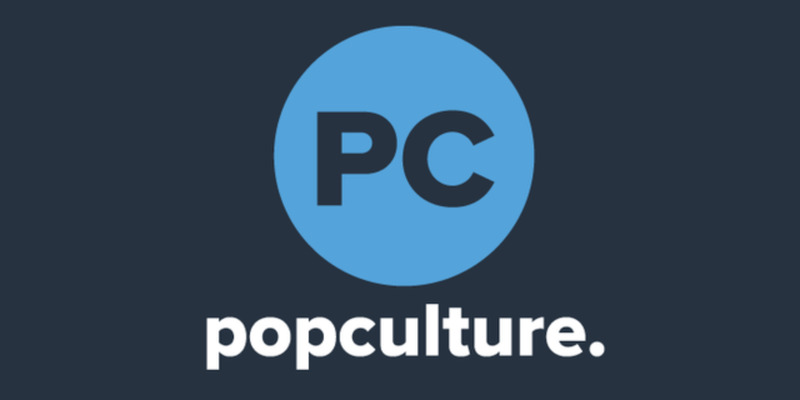 Game of Thrones is a show deeply concerned with characters and morality. Author George R.R. Martin has talked about his fascination with the moral gray area in many interviews, and how characters navigate their own shortcomings and redemption. In the context of these reunions, many characters are now faced directly with their own actions, as they have to decide how much of their new selves to reveal to their old loved ones. There may not be too much time for introspection, however, as the war for the dawn is nearly upon us. In the meantime, the armies of the living are gathering up and taking inventory. Here are some of the best character reunions in Season 8, Episode 1 of Game of Thrones. Jon and Bran's reunion probably went as most fans expected, considering Bran's odd new demeanor since becoming the Three-Eyed Raven. The wheelchair-bound seer hardly cracked a smile as Jon jumped off his horse to hug him and then planted a kiss on his forehead. "Look at you! You're a man," Jon said. "Almost," Bran replied cryptically, confusing all of his siblings. Fans have been dying to see this reunion for years, particularly because Jon and Bran just barely missed each other a few years ago, when Jon was riding with the Wildlings. The ill-fated marriage of Sansa and Tyrion led to a lot of suffering throughout the seven kingdoms, though their reunion was reasonably peaceful. Tyrion grumbled a bit about being left to die, though he seemed to understand. He even complimented Sansa's cleverness in making it as far as she did. Sansa, meanwhile, seemed more concerned with the current state of affairs. 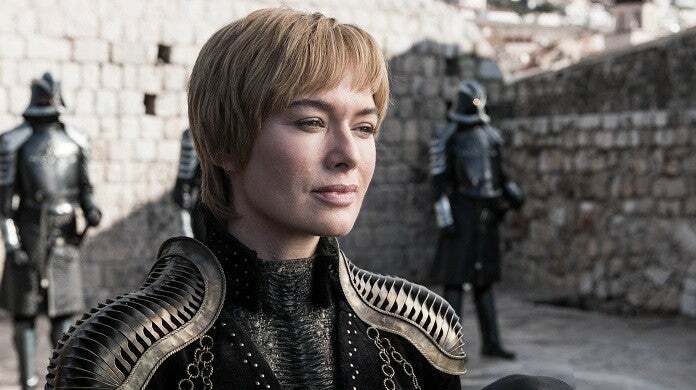 She was incredulous that Tyrion actually believed Cersei was sending her armies north to help them, saying: "I used to believe you were the cleverest man in the world." As two of the last leaders that are not up north preparing for the war for the dawn, Cersei Lannister and Euron Greyjoy had a meaningful reunion. Despite saying he was going to sail home to hide from the White Walkers last season, Euron returned to King's Landing in this episode, bringing Cersei the gift of a well-trained army. Of course, the Crow's Eye does not do anything for free. The aggressively insisted on consummating his engagement to Cersei that night, and while she refused at first, the queen eventually conceded. Afterward, Euron put his hand on Cersei's midsection and promised: "I'm going to put a prince in your belly." He left, and before the scene ended Cersei looked like she was on the verge of tears. Theon followed through on his promise to save his sister, Yara Greyjoy from their uncle in this episode. It went surprisingly smoothly, with his small band of Ironborn storming the ship, killing the crew and taking Yara out to sea with them. The only hitch came when Yara gave Theon a strong headbutt to the face for leaving her in the first place. 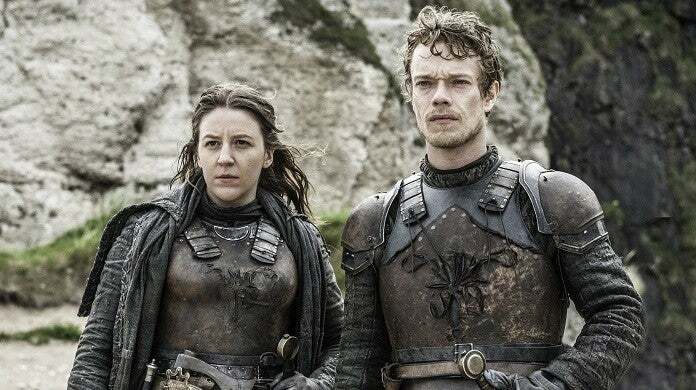 While Yara went home to the Iron Islands to hold them for Daenerys, she allowed Theon to go north to help in the wars to come, so their reunion did not last very long. Jon has caused Sansa a lot of problems since he left Winterfell early in Season 7, so it is no wonder their reunion was a bit tense. Sansa was not quiet about her anger at him for bending the knee to Daenerys, and in one scene she surprised him by correctly guessing the reason. 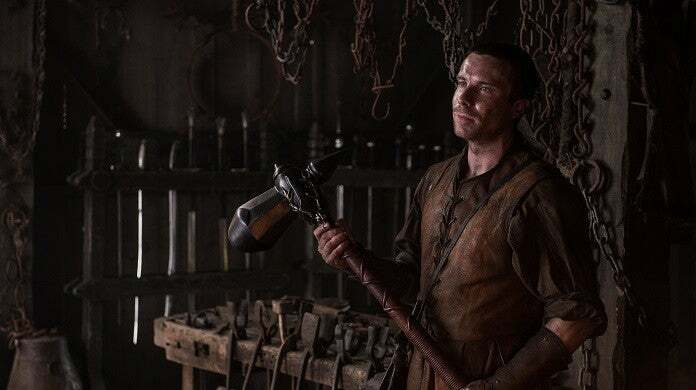 After years apart and many near-death experiences, Arya and Gendry were back to bickering in no time in Winterfell's forge. The duo is near and dear to many fans' hearts, as some believe there is a romantic future for them. First, however, Arya is hoping that Gendry will make her some kind of strange detachable staff weapon. Jon and Arya may well be the most-awaited reunion of the entire series. The two were extremely close at Winterfell, and they have not seen each other since early in Season 1. However, their reunion came slow, as Arya spent most of the episode hiding and skulking away from official functions. Finally, she snuck up on her older brother at the Weirwood tree where he was in contemplation. Surprisingly, their reunion was one of the most lighthearted moments in the episode, with the two of them comparing swords and laughing like old times. Unlike with many other characters, Arya did not burden Jon with the horrors she had seen in her time away from Winterfell. Instead, she simply tried to help him see eye to eye with Sansa, telling him they needed to do whatever they could to keep their family together. 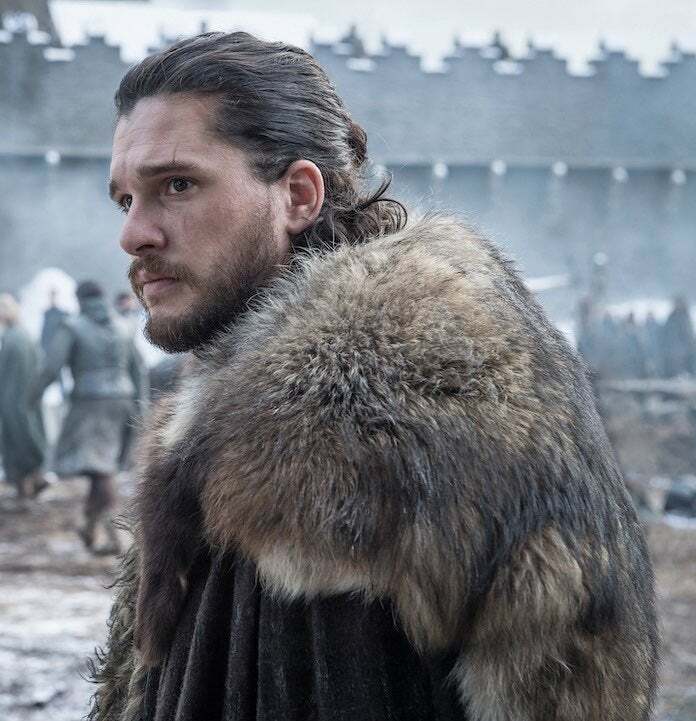 It is a surprise when Sam creeps down into the crypts of Winterfell to see Jon, who is again brooding by his father's grave. The two have not seen each other since Jon sent Sam south to become a maester, back when he was the Lord Commander of the Night's Watch. 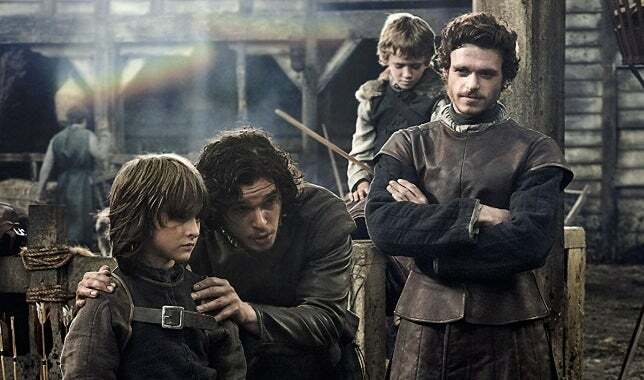 Their reunion is the perfect context for Jon to the get the earth-shattering news of his true parentage, as he does from Sam. 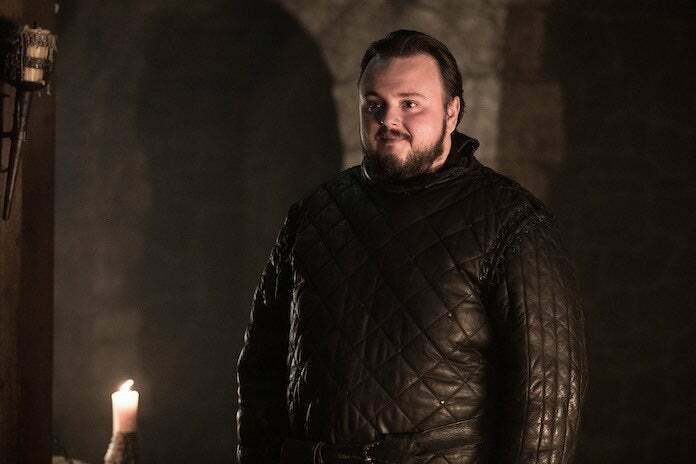 Bran himself points out that Sam is the person Jon trusts more than anyone else in the world, and he is more of a brother to Jon than Bran himself is at this point. Finally, the episode ends on one heart-stopping shot: Jaime Lannister confronted by his original sin from the very first episode of the series. The disgraced knight arrives at Winterfell alone on horseback. Climbing off, he pulls back his hood and looks around, smiling almost fondly. His smile drops away abruptly, however, as he spots Bran watching him from not far away. This reunion is sure to be a tough one, as Bran now remembers what caused the fall that took his legs. 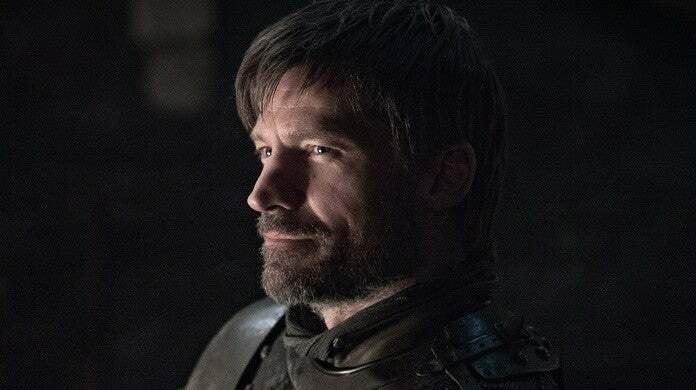 However, we cannot guess what this new omnipotent Bran will do with that information, or how he will deal with Jaime, whom he referred to as "an old friend." We'll have to tune in next week to see how that one turns out. Game of Thrones airs on Sundays at 9 p.m. ET on HBO.